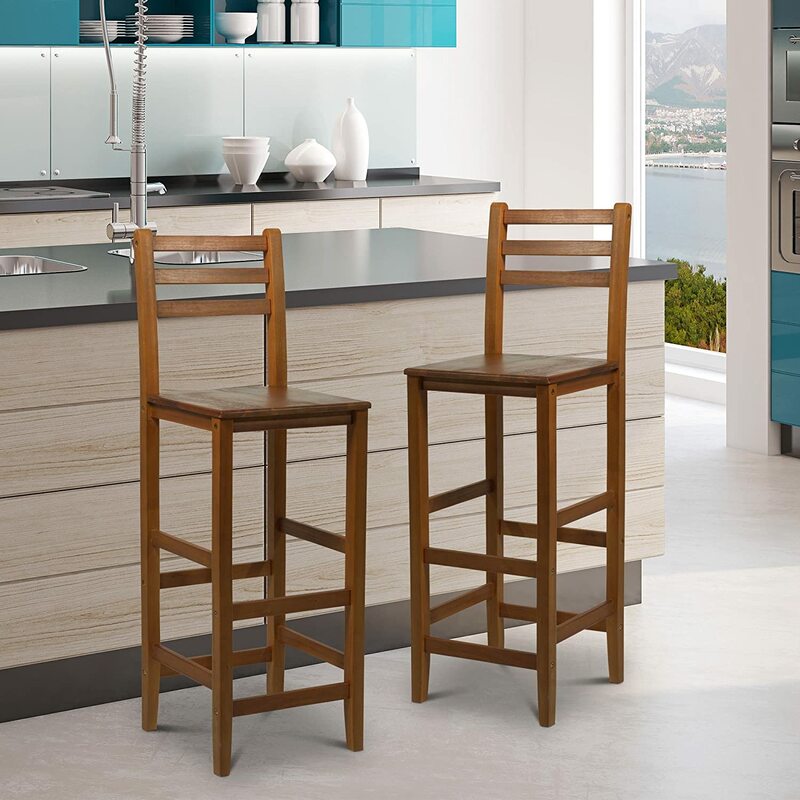 These stylish bar stools by HOMCOM is a great addition to your Kitchen, Patio, and Bar. Made from Acacia wood for strength and stability, it comes with a backrest and built-in footrests on two levels. Varnished for easy maintenance and cleaning for a long-term use. These versatile bar stools are ideal for any situation and setting, perfect to compliment any other furniture you may have.